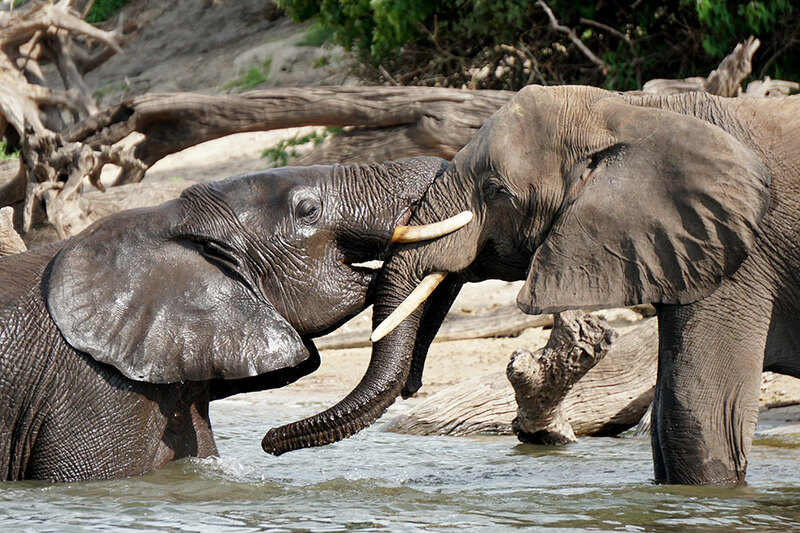 The Zambezi Queen may be a riverboat, but the experience aboard is not a traditional cruise. The 14-cabin vessel doesn’t take passengers from one point to another. 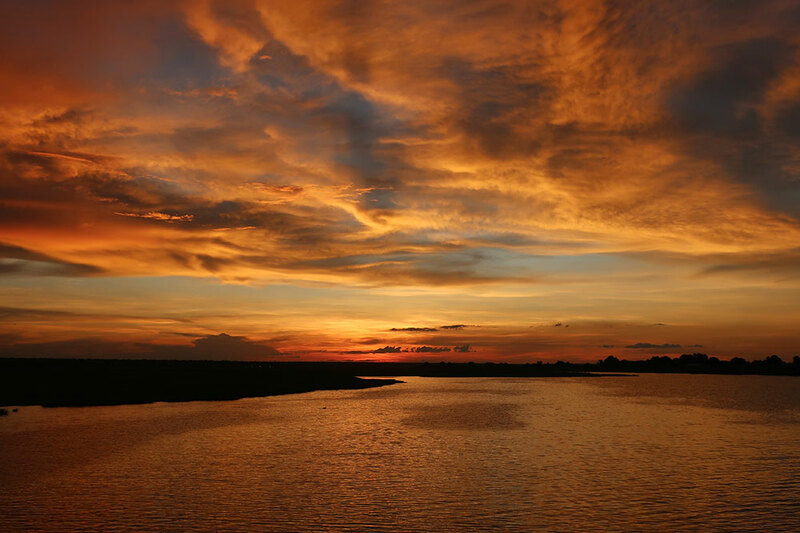 Instead, it makes day excursions along the Chobe River, which forms the border between Botswana’s Chobe National Park and Namibia’s Caprivi Strip, returning to the same mooring each evening. 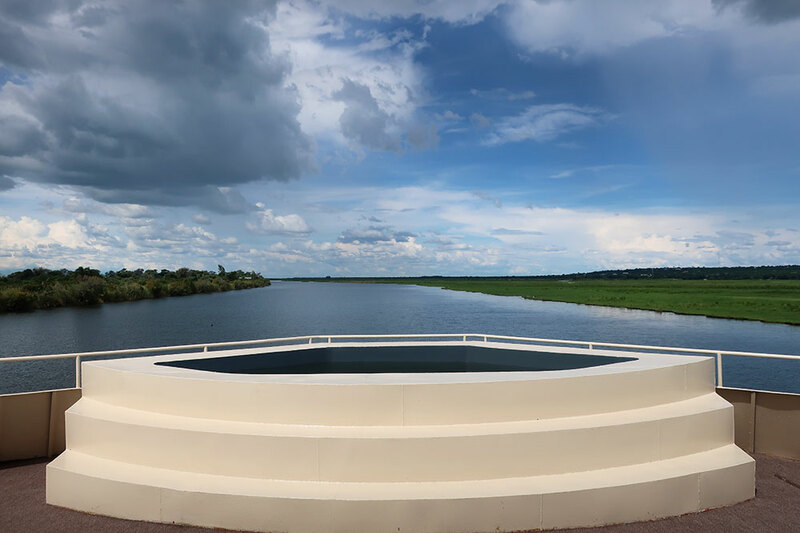 Here, the flat land encourages the slow-moving river to spread out into sinuous curves and numerous small side channels, creating a wetland environment rich with life. After a welcome drink and a safety briefing — if the boat starts to sink, we were advised, head to the top-deck bar for a cocktail, because it’s taller than the river is deep — we had some time to relax in our cabin. We were upgraded to one of the four master suites, which have corner locations and large lounger-furnished terraces at the bow, in addition to the narrow Juliet balconies that come with standard suites. The suites all have sliding glass doors, small shower-only baths and simple but attractive color schemes of chocolate and cream. A wardrobe provided enough storage for our two-night stay, aided by a tall row of shelves in the bath. Only the brown plastic mat on the shower’s floor was unappealing. We took a bottle of complimentary Cap Classique from its ice bucket, popped the cork and toasted our good fortune while reclining on our terrace, just across the water from a herd of Cape buffalo. Our full day aboard the Zambezi Queen included some pre-breakfast fishing for tiger fish, a visit to a traditional Caprivian village and game-viewing cruises with smaller motorboats. 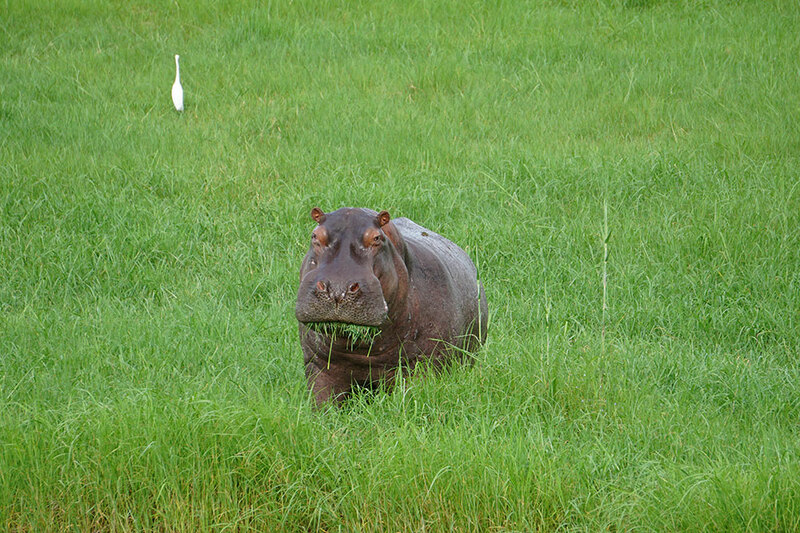 Even in the rainy season, the river drew numerous animals to its banks. We saw myriad birds, including blue-cheeked bee-eaters and open-billed storks. Crocodiles lounged on the shore, and pods of hippo splashed into the river with surprising speed and agility as we approached. 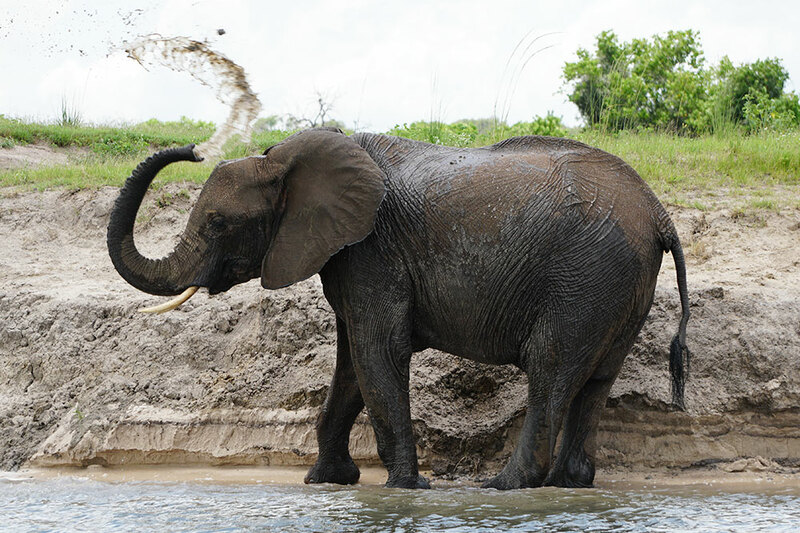 A giant herd of antelope clustered along a section of beach one afternoon, and when we returned to the same spot the following day, we discovered a group of elephants there instead, playing in the river and spraying themselves with water. On board the Zambezi Queen, the crew took very good care of us. Moses, the bartender, mixed delicious cocktails, both alcoholic and not (nondrinkers should try the Virgin Chardonnay). For most meals, we served ourselves from the buffet. The exceptions were breakfasts, which had made-to-order eggs in addition to the buffet, and our à la carte welcome dinner. I quite liked my ratatouille in a pastry basket, and fresh hake in a tangy caper sauce with vegetables. I especially liked the farewell dinner’s African-inspired buffet, with dishes like fish yassa (a lemon-onion-mustard sauce of Senegalese provenance), and oxtail stew. The dessert that evening, however, was hilariously awful. After finding ourselves unable to cut into our individual chocolate cakes with our forks, we hacked at them with our unused steak knives. Those of us who managed to dislodge a chunk found it nearly impossible to chew, even when soaked in custard sauce. A lot of chocolate-flavored hockey pucks were returned to the kitchen that night. 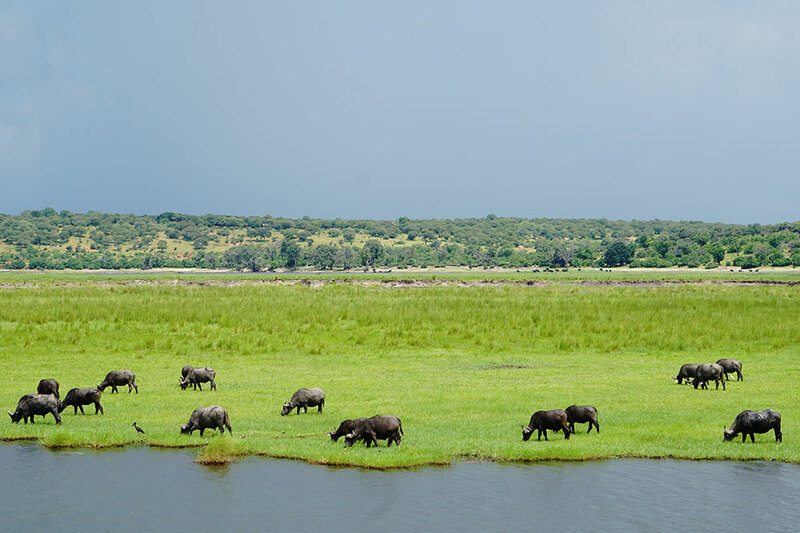 But in almost all respects, our stay aboard the Zambezi Queen was a delight. It afforded access to a wetland environment teeming with animals, as well as welcoming villages where people still have a more or less traditional lifestyle. Open seating at meals and an inviting bar-lounge encouraged a convivial atmosphere on board. 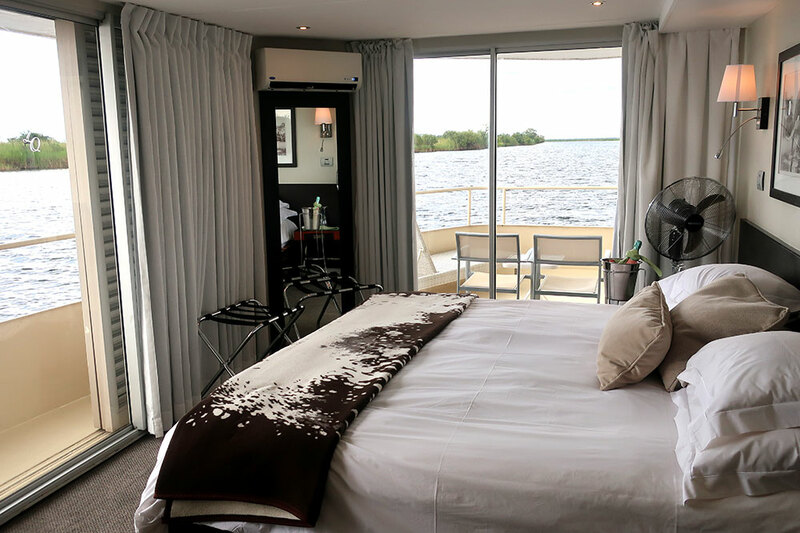 A spell aboard the Zambezi Queen is an ideal complement to a stay at Victoria Falls River Lodge Island Treehouses, to which it is much closer than our nearest recommendations in either Botswana or Namibia. The ship offers both two- and three-night itineraries, but a two-night stay allows adequate time to explore the region without the activities becoming repetitive.